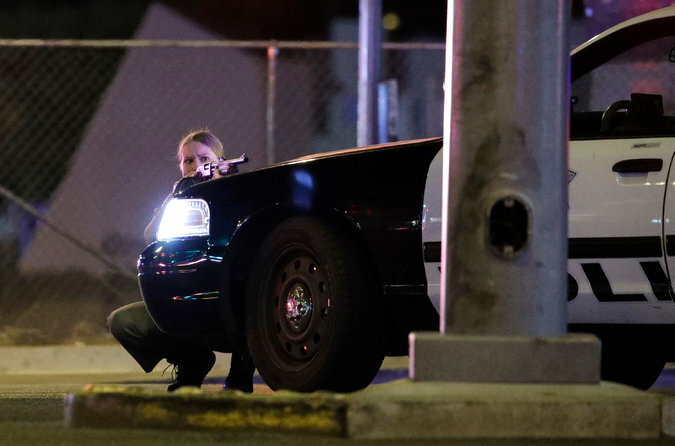 A gunman opened fire Sunday night at a concert at a Las Vegas casino hotel, sending people fleeing as SWAT units searched for the attacker and the police investigated reports of shootings elsewhere in the city. Reports said that the shooting happened at the Mandalay Bay Resort and Casino. It was not immediately known how many people were injured. 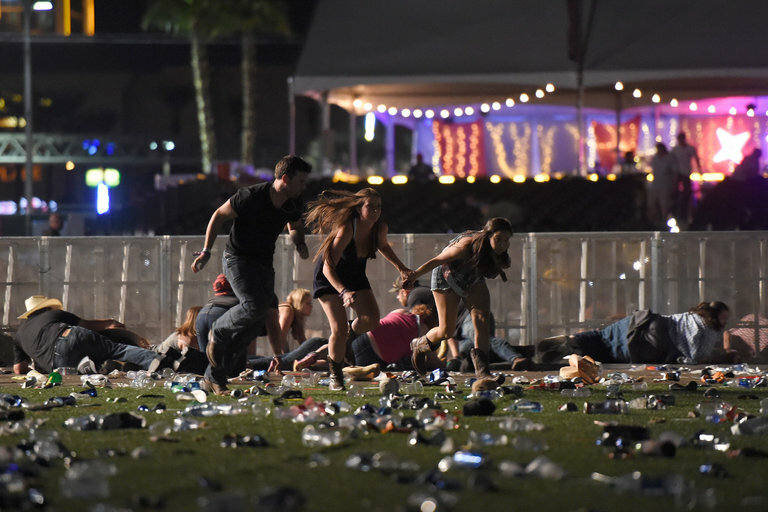 Video posted online showed a musician performing outside the Mandalay Bay at Route 91 Harvest, a country music festival, when the sound of automatic gunfire rang out. The music stopped, and concertgoers ducked for cover. “Get down,” one shouted. “Stay down,” screamed another. Several SWAT teams were sent to the hotel, and officers reported being pinned down by gunfire, according to emergency radio traffic. The police also descended on the Ali Baba Restaurant, about a 10-minute drive from the Mandalay Bay, and they were also investigating reports of a shooting at the New York-New York Hotel and Casino. The police reported clearing out the Mandalay Bay’s 29th floor and working their way up to the 32nd floor. A Twitter post from the Las Vegas Police Department described reports of an “active shooter” near or around the Mandalay Bay casino. One officer reported that civilians were “trying to take patrol cars,” but it was unclear why.